Pancakes, Eggs Benedict or Chinese dim sum - here are a few good places to spend a lazy Sunday afternoon relaxing over brunch. 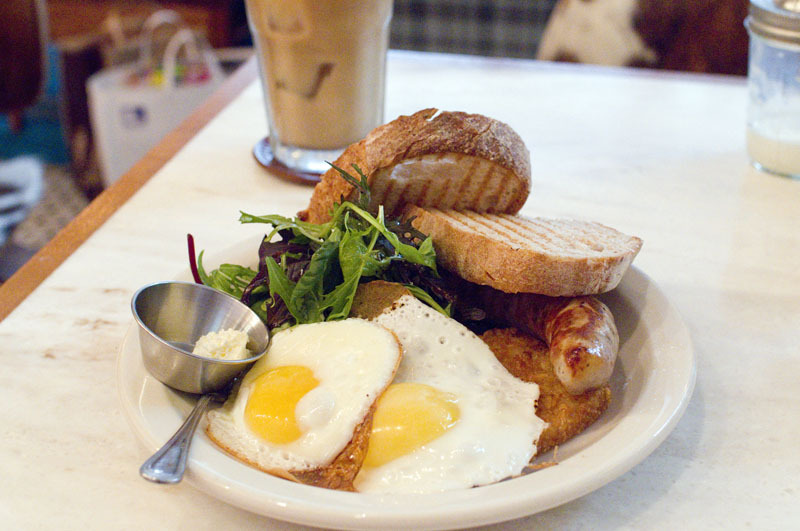 See also our listings for weekday breakfast spots. Open 11:30am-2, 5:30-10pm (LO; Sun -9pm) daily. Open 11:30am-2:30, 5-11pm (LO 9:30-10). Closed Sundays. Open 11:30am-2:30, 5pm-12:30am (LO) daily. Open 11:30am-11pm (Sun. noon-6pm) daily. Open 11:30am-2:30, 5:30-10pm (LO) daily. Open 11:30am-2:30, 5:20-10pm (LO) daily. The Grand Hyatt's Chinese restaurant offers a dim sum buffet at lunchtime every day for Y4200. Budget around Y10,000 per person in the evening for food and drink.